presented new challenges for contestants... Read Article! A Texas attorney has won a Key lime pie-eating contest... Read More! ​An expanded field and hot sun beating down presented new challenges for contestants in the fifth annual Mile High Key Lime Pie Eatin’ World Championships, but... Read More! Key West, Florida: Speed, not quantity, is the objective in the annual Key Lime Festival's pie-eating contest on July 4. The current record-holder is Trey Bergman of Texas, who last year consumed a nine-inch, whipped-cream-laden key lime pie in 51.92 seconds. 'We Don't Need No Stinkin' Hot Dogs! ': Texas Lawyer Wins Florida Key Lime Pie-Eating Contest... Read More! How fast can you eat an entire Key lime pie without using your hands? ​Houston attorney Trey Bergman did it in well under... Read More! Texas attorney has won a Key lime pie-eating contest in the Florida Keys where the tart, creamy dessert.. Read More! ​Celebrate a unique Florida fruit at this event, which starts with a Key Lime Pie drop from the Key West Lighthouse on June 30 and includes a Key Lime Cocktail Sip and Stroll and other culinary adventures. The festival ends with – what else? – a pie-eating contest at 11 a.m. July 4 at the Southernmost Beach Cafe at 1405 Duval St. It’s free to watch, $20 to join if you think you have the right stuff to win (or if you just want to slam down Key lime pie). Read more! ​You can’t come to Key West without sampling a slice of Key Lime Pie, so why not attend the annual Key Lime Festival? ... Read More! ​Florida is known for many delicious items such as juicy oranges and sweet strawberries. One other food item that comes to mind is the ever-popular key lime that is used for a Florida favorite - Key lime pie. ... Read More! 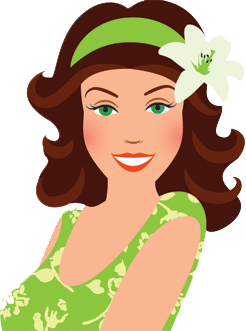 Key Lime Pie Eating Contest To Be In “Limelight” July 4 In Key West... Read More! 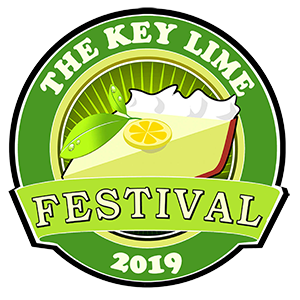 Key West Celebrates Key Limes... Read More! Florida man wins key lime pie eating contest... Read More! Key West man wins Key lime pie-eating contest in 1 minute, 18 seconds... Read More! Key West man wins key lime pie eating contest... Read More! World's Largest Key Lime Pie Served In Tallahassee. Watch Videos! Salute sweet Key lime pie and the tiny fruit that inspired it with events ranging from a pie-eating contest to... Read More! A festival celebrating the signature flavor of the Florida Keys kicked off with an enormous... Read More! Revelers at Key West's Key Lime Festival are hoping a massive Key Lime Pie is... Read More! At the tip of southern Florida lies a coral necklace of islands called the Florida Keys, and residents there know... Read More! A 2.5-metre key lime pie could go down in history as the largest ever made... Read More! [Slideshow] Robert Cintron takes notes while Paul Menta reads a measure of the diameter of a giant Key lime pie... Read More! Bakers in Florida prepared a 2.5-metre key lime pie at Key West's Key Lime Festival... Read More!